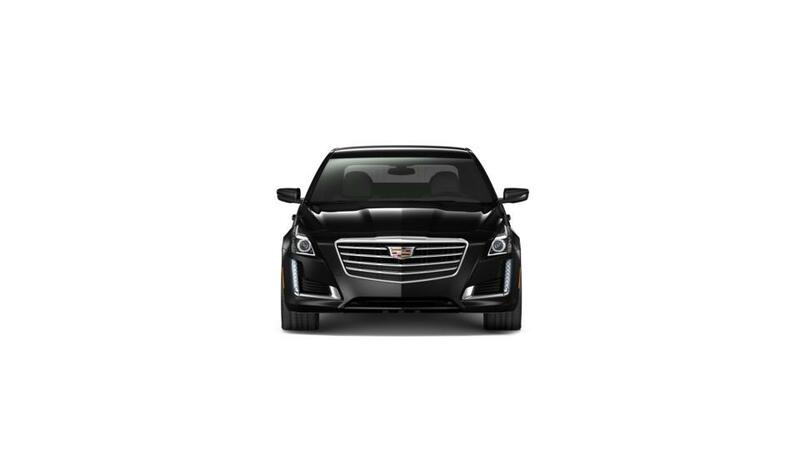 Residents of the Southeast U.S. qualify for an additional -$2,000 off of the brand new 2019 Cadillac CTS and CTS-V models. Contact Classic Cadillac of Atlanta in Sandy Springs today! Offer available to customers residing in the Southeast United States as defined by General Motors and Cadillac. Take advantage of -$1,500 in savings with Cadillac Bonus Cash available on the new 2019 Cadillac CTS, CTS-V, and CT6 Sedan Models! Only at Classic Cadillac of Atlanta! Owners and Lessees of a 2003 or newer Cadillac vehicle qualify for an additional -$2,500 off of the purchase of brand new 2019 Cadillac CTS, CTS-V, XTS, and CT6 Models! 1*Offer does not include any other factory rebates or tax, tag, and title fees. Offer is based on zip code of current residency. Contact dealer for full and complete details. 2*Offer does not include any other factory rebates or tax, tag, and title fees. Contact dealer for full and complete details. 3Demo vehicles have never been titled and offer is VIN specific. Contact dealer for details. 4*Offer does not include any other factory rebates or tax, tag, and title fees. Proof of ownership or lease of 2003 or newer Cadillac model must be provided at time of sale. Available on purchase only. Contact dealer for full and complete details. 5*Offer does not include any other factory rebates or tax, tag, and title fees. Offer available for customers who currently own or lease a Cadillac ATS. Prof of ownership must be provided at time of purchase/lease. Contact dealer for full and complete details. 1*Offer does not include any other factory rebates or tax, tag, and title fees. Contact dealer for full and complete details. 2Demo vehicles have never been titled and offer is VIN specific. Contact dealer for details. 3Not available with some other offers. Take delivery by 04-30-2019. 4*Offer does not include any other factory rebates or tax, tag, and title fees. Offer available for customers who currently own or lease a Cadillac ATS. Prof of ownership must be provided at time of purchase/lease. Contact dealer for full and complete details. 1*Offer does not include any other factory rebates or tax, tag, and title fees. Offer is based on zip code of current residency. Contact dealer for full and complete details. 2*Offer does not include any other factory rebates or tax, tag, and title fees. Contact dealer for full and complete details. 3*Offer does not include any other factory rebates or tax, tag, and title fees. Proof of ownership or lease of 2003 or newer Cadillac model must be provided at time of sale. Available on purchase only. Contact dealer for full and complete details. 4*Offer does not include any other factory rebates or tax, tag, and title fees. Offer available for customers who currently own or lease a Cadillac ATS. Prof of ownership must be provided at time of purchase/lease. Contact dealer for full and complete details. 1*Offer does not include any other factory rebates or tax, tag, and title fees. Contact dealer for full and complete details. 2Not available with some other offers. Take delivery by 04-30-2019. 3*Offer does not include any other factory rebates or tax, tag, and title fees. Offer available for customers who currently own or lease a Cadillac ATS. Prof of ownership must be provided at time of purchase/lease. Contact dealer for full and complete details. Current owners or lessees of 1999 or newer non-General Motors vehicles may qualify for -$2,000 off of the all new 2019 Cadillac CT6 Sedan! Only at Classic Cadillac of Atlanta in Sandy Springs. 1*Offer does not include any other factory rebates or tax, tag, and title fees. Contact dealer for full and complete details. 2*Offer does not include any other factory rebates or tax, tag, and title fees. Proof of ownership or lease of 2003 or newer Cadillac model must be provided at time of sale. Available on purchase only. Contact dealer for full and complete details. 3*Offer does not include any other factory rebates or tax, tag, and title fees. Proof of ownership of non-GM vehicle must be provided at time of sale. Offer only available on purchase and cannot be combined with loyalty offers. Contact dealer for full and complete details. 4*Offer does not include any other factory rebates or tax, tag, and title fees. Offer available for customers who currently own or lease a Cadillac ATS. Prof of ownership must be provided at time of purchase/lease. Contact dealer for full and complete details. Lessees of non-General Motors vehicles qualify for up to -$2,000 towards the lease of a new 2019 Cadillac CT6 Sedan! Contact Classic Cadillac in Sandy Springs today! 1*Offer does not include any other factory rebates or tax, tag, and title fees. Contact dealer for full and complete details. 2*Offer does not include any other factory rebates or tax, tag, and title fees. Offer valid for customers who currently lease a non-gm vehicle. May not be compatible with other offers. Contact dealer for full and complete details. 3*Offer does not include any other factory rebates or tax, tag, and title fees. Offer available for customers who currently own or lease a Cadillac ATS. Prof of ownership must be provided at time of purchase/lease. Contact dealer for full and complete details. Take advantage of -$1,000 in savings with Cadillac Bonus Cash available on the new 2019 Cadillac XTS Sedan! Only at Classic Cadillac of Atlanta! Qualified customers may take full advantage of the Cadillac Combo offer of 0% financing for 72 months and -$1,500 off of 2019 Cadillac XTS Sedan models! This limited time offer is available when financing with GM Financial and may not be combined with any other factory offers. 1*Offer does not include any other factory rebates or tax, tag, and title fees. Contact dealer for full and complete details. 2Offer available for qualified customers through GM Financial. Offer does not include any other factory rebates and may not be compatible with any other offers. Contact dealer for full details. 3*Offer does not include any other factory rebates or tax, tag, and title fees. Proof of ownership or lease of 2003 or newer Cadillac model must be provided at time of sale. Available on purchase only. Contact dealer for full and complete details. 4*Offer does not include any other factory rebates or tax, tag, and title fees. Offer available for customers who currently own or lease a Cadillac ATS. Prof of ownership must be provided at time of purchase/lease. Contact dealer for full and complete details. 1*Offer does not include any other factory rebates or tax, tag, and title fees. Contact dealer for full and complete details. 2*Offer does not include any other factory rebates or tax, tag, and title fees. Offer available for customers who currently own or lease a Cadillac ATS. Prof of ownership must be provided at time of purchase/lease. Contact dealer for full and complete details.